A simple lab coat, right? Just a normal coat, except it's white. What's so special about that? Well, just about everything. Because it turns out that our perceptions change when dealing with someone in a lab coat. Not only that, but we think differently about ourselves when we're the ones wearing the coat! Yup, that's right. If you wear this coat, you're going to be more focused and concentrated on what you're doing. Why? Because even though nothing really changes, you feel differently. Because lab coats mean smart people, you feel smarter and act smarter as a result. It's the power of perception! Weird, right? It gets even weirder. In the early 1960s, there was a social experiment about obeying authority figures, the Milgram experiment. 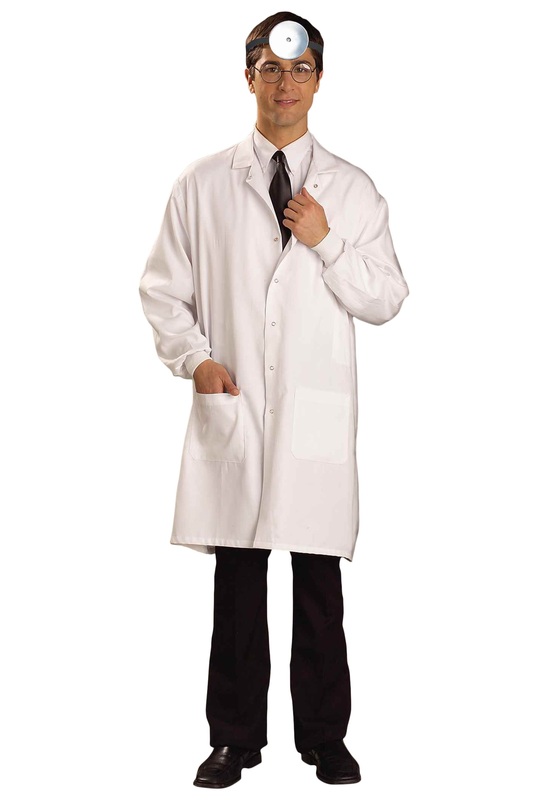 A guy in a lab coat (see!) would tell people to continue doing something they didn't want to do and the people would listen to the guy in the lab coat. We're not saying wearing this lab coat would suddenly give you mind control, that's just silly. But it will change how people respond to you. Because they will immediately assume that you know what you're talking about, because how else would someone get a nice white lab coat, right? Meanwhile, we'll know that you have no idea what you're talking about, except when it comes to lab coats, where you'll be quite knowledgeable. But what if you encounter someone else wearing a lab coat? We honestly have no idea what would happen, but we assume it would be like crossing the streams in Ghostbusters, so do not do it, under any circumstances! Although if you work in a lab or hospital, it might be unavoidable.